These are the quotes tweeted from @sueannbowling over the past week. 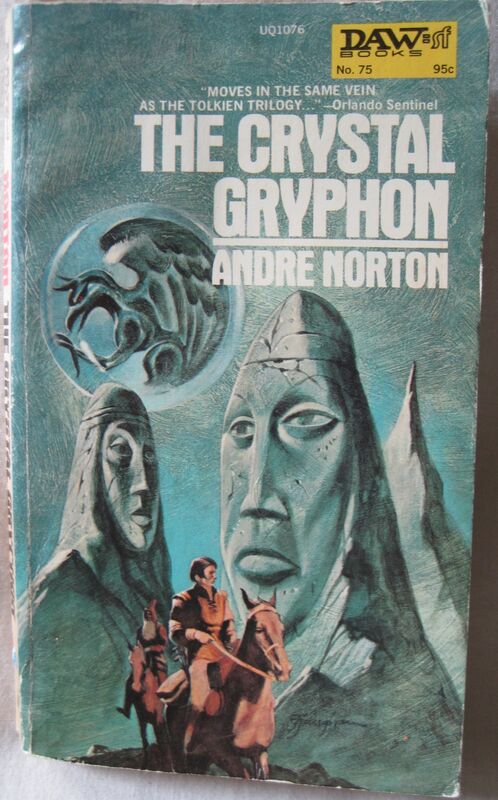 The first four are from Horn Crown, by Andre Norton; the next two are from The Crystal Gryphon, also by Andre Norton. “Go in peace, though that is not what you will find, for it does not lie within you.” The dryad speaking to Elron. 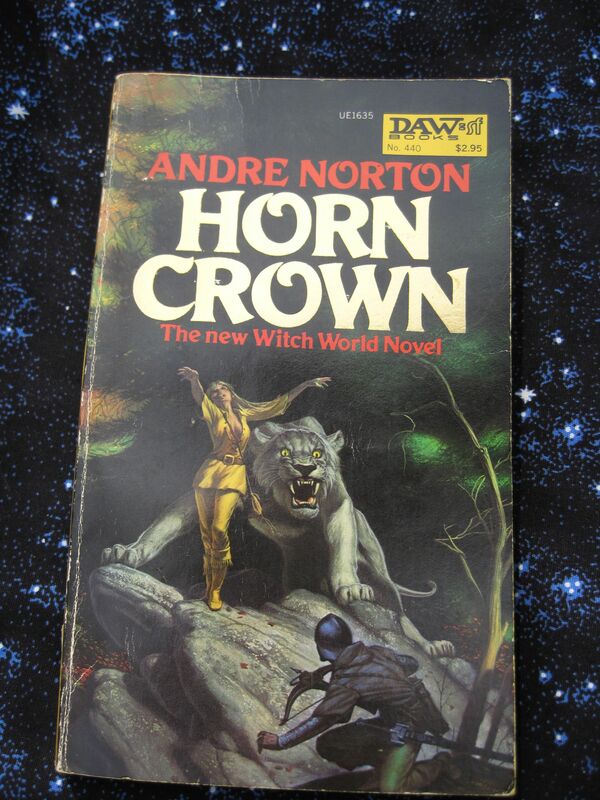 “All things must balance in any world.” Gathea, trying to explain the Horn-Crowned One to Elron. “We must fight fear lest we vanish into nothingness.” Elron, facing dark evil. “You cannot compress years of learning into a few words here and now.” Gathea is saying that she cannot teach Elron what he needs to know, but it strikes me that our politicians try to do it all the time. “Knowledge is what every man should seek, and knowledge of himself most of all.” Riwal, the Wise Man, speaking to Kerovan when Kerovan seeks him out as a child. “They are afraid of that which they cannot touch, see, taste, hear or otherwise clearly perceive.” Abbess Malwinna, speaking of her occasional ability to foresee the future. “Had the near-breakdown of society gone hand in hand with the elimination of pets?” Bowling, “Death of a Dog.” The protagonist is a retired scientist who believed — and published — that dogs helpd humanity evolve. These are the quotes tweeted during the last week from @sueannbowling. 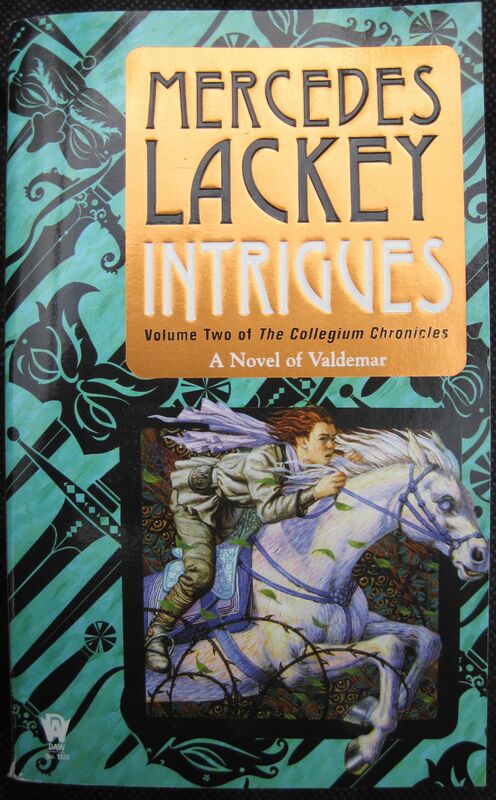 The first six quotes are from Owlknight, by Mercedes Lackey and Larry Dixon. “Of all the things in the world, I think patience is the hardest.” Darian, recognizing that he must be patient if he is to find out what happened to his parents. “They may drive me crazy, but they’re my parents.” Keisha’s reasoning as she observes Darian’s obsession with finding his parents. “It was one thing to take pleasure in the defeat of an enemy, but gloating over it made you no better than he.” Shin’a’in saying, thought of by Darian as he hears of the end of the Blood Bear clan. “Competition keeps the breed strong.” Tyrsell the dyheli stag, when a problem comes up at Council. “Anyone who understands bribery can’t be that much of a barbarian.” Val’s comment when Chief Vorden suggests that the “gift” of wedding shawls might be considered a bribe. “No one wants to look bad in front of the important stranger.” Darian’s thoughts on why the Council matters were resolved so quickly – they are also preparing for the arrival of a herald-mage. “If you don’t feel confident about trying, I sure don’t.” Bowling, Tourist Trap. Timi, when Roi is reluctant to try to dig memories out of his mind. 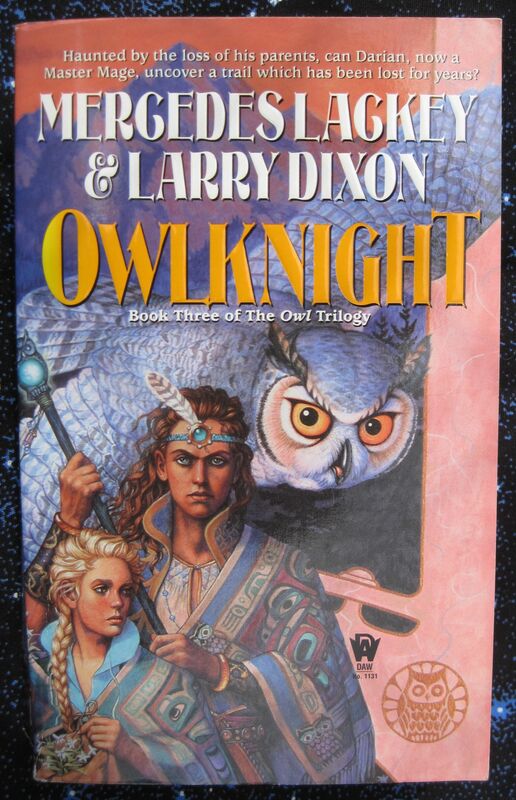 The first 6 quotes are from Owlsight, by Mercedes Lackey and Larry Dixon. These are the quotes that were tweeted from @sueannbowling last week. “Pain shared is pain halved, as joy shared is joy doubled.” One of the things the Elder Rainlance says as part of the Hawkbrother marriage ceremony. “You must not pledge yourselves thinking you can change each other.” Rainlance, a little farther along in the marriage ceremony. “It was easiest to get something done if you didn’t stop to ask permission first.” Keisha’s thought as she is preparing to move out of her parents’ house. “It isn’t what you call me, it’s what I answer to that counts.” Tayledras proverb, quoted to Darian by Firefrost when he is wondering about the Tayledras habit if taking (or being given) use-names. “The more stress you’re under, the fewer stresses you notice.” Darian noticing that quarrels have increased in the village, which is under far less stress than the party that first rescued him. “Bluffs either cost you half or twice.” Shin’a’in saying, quoted by Snowfire when it looks as if they will have to bluff an invading tribe. “If you see me heading off in the wrong direction, say something. Sue Ann Bowling, Tourist Trap. Roi’s comment to Penny when she objects to his taking over in what he sees as an emergency. 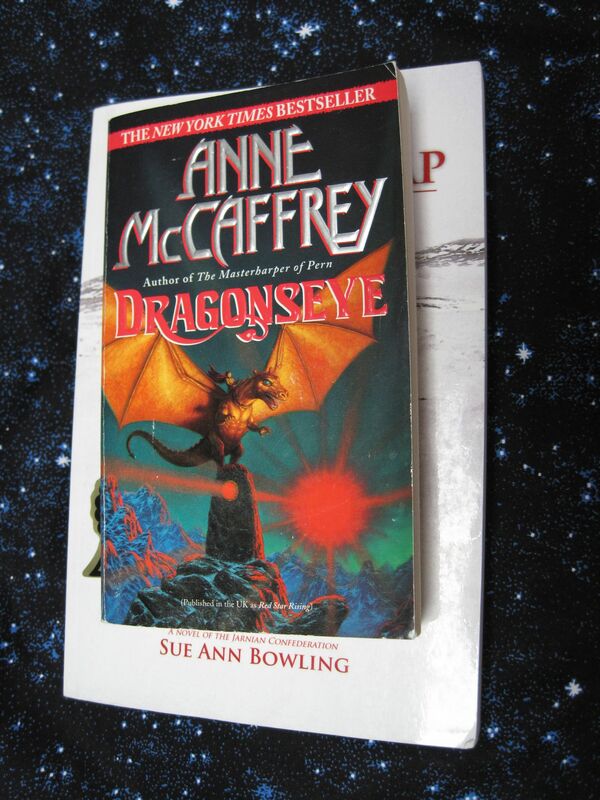 The first five quotes are from Dragonseye, by Anne McCaffrey. This is set roughly 200 years after the end of the first round of Threadfall on Pern. “Our glorious past is past.” This is actually two statements. Sallisha starts protesting the new, more practical curriculum, with “But our Glorious past –” and is topped by Sheledon’s “Is past. “Failure had appalling consequences. Failure usually did.” The full quotation is “And yet, the scale of Threadfall was awesome and failure had appalling consequences. “One had to know the bad to properly appreciate the good.” Iantine has been in Bitra Hold (and nearly died escaping) so Bendan Weyr seems like heaven. 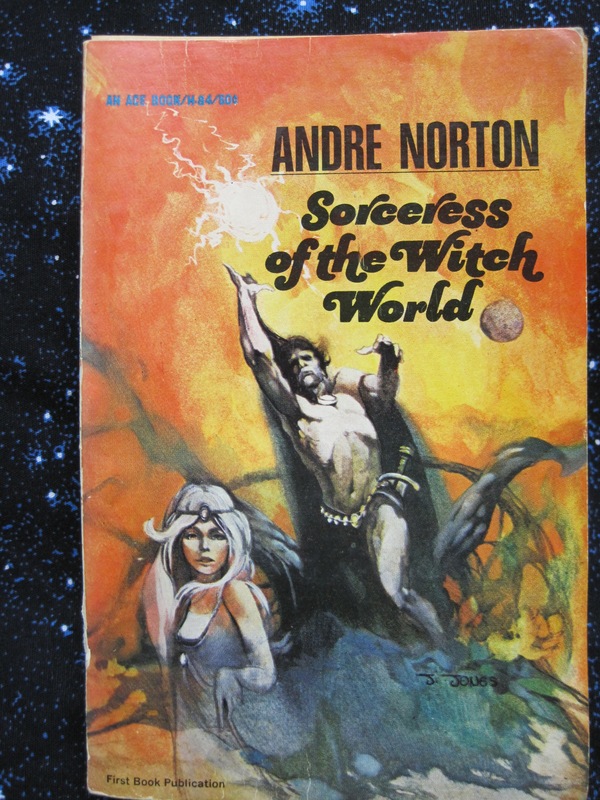 “We must be good at surviving to have lived so long on this planet.” Anne McCaffrey, Moreta. Moreta, as she comes to realize that the plague has probably infected her. “She had to try.” Sue Ann Bowling, Tourist Trap. Amber, when she realizes that her leg is infected, but she must keep going. 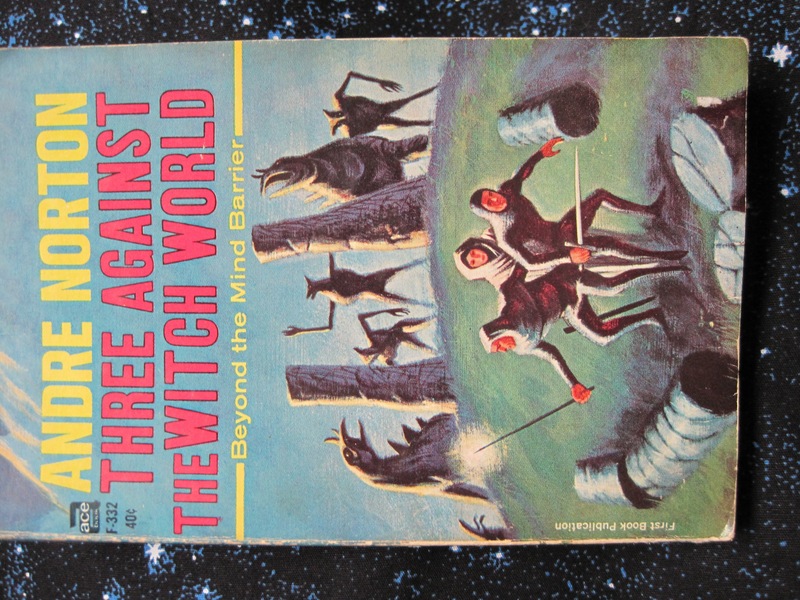 And just as a nod to theme day on the blogathon, I’d choose a different title. Homecoming was the first book I published, but it’s not the only one now. 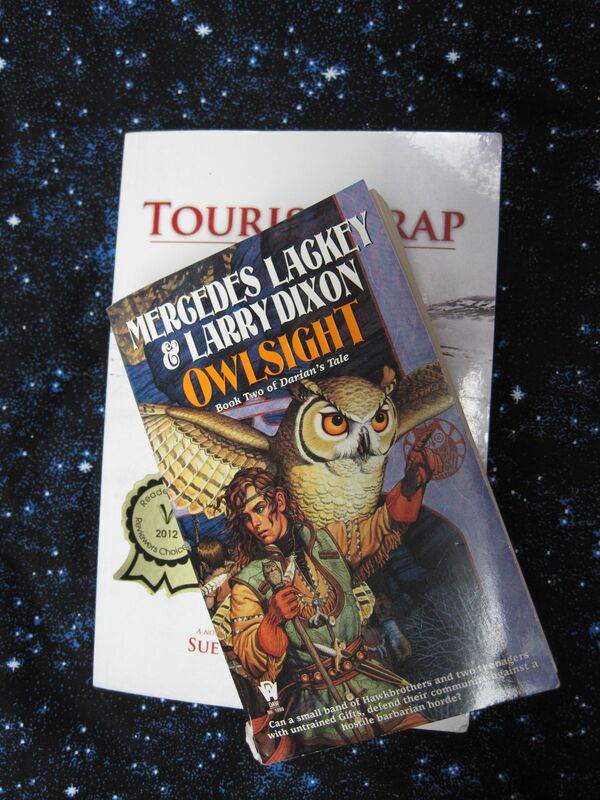 The first six of this week’s quotes are from Owlsight, by Mercedes Lackey and Larry Dixon. These are the quotes that were tweeted from @sueannbowling last week. “That was the trouble with arguing with herself – she had to be honest.” Keisha, just after Shandi is Chosen, forced to admit to herself that she really could get Healer training if she were willing to leave her home and go among strangers. “I’m so bad with people I can’t even win an argument with myself.” Keisha’s reflection on the argument above. “Even the strangest people have familiar habits.” Darien’s reflection on Hawkbrother gossip. “Our strength is in our bonds to one another.” This and the following two quotes are part of a Hawkbrother marriage ceremony, when Snowfire and Nightwind are formally married. .
“They have to be able to work together.” Sue Ann Bowling, Tourist Trap. Lai, conflicted about Roi’s apparent acceptance of Zhaim. 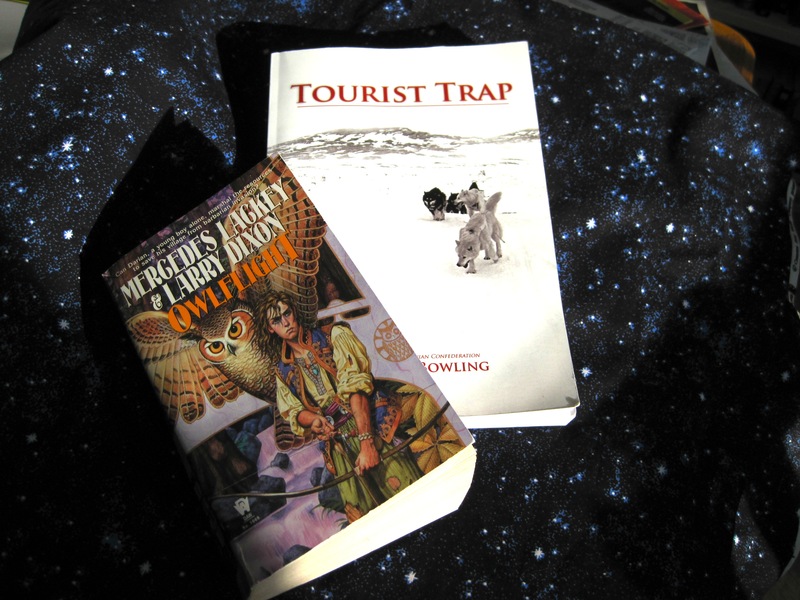 The first six of this week’s quotations are from Owlflight, by Mercedes Lackey. “To treat a person like a carpet, it is necessary that one do the walking, and the other allows himself to be walked on.” Shin’a’in saying, here applied to the wizard Justyn, who allowed himself to be walked on. “Do you fault a man for no longer chopping wood when he has lost a hand?” Snowfire is pointing out to Darien that Justyn was not to be blamed if the Storms reduced his ability to do magic. “The value lies in the accomplishment, not how it was done” Part of the same conversation. “Subtlety requires time and concentration, rather than power.” Starfall is trying to defeat the enemy mage without being discovered. “If the people have survived, then the village has.” Snowfire to Darien, pointing out that people are more important than houses. “I’ve got to try.” Sue Ann Bowling, Tourist Trap. Roi, faced with a Healing he may not succeed in. All of these quotes were Tweeted from @sueannbowling. Late breaking news (9 am): Tourist Trap not only took first place in science fiction in the Reader Views literary awards, it received the Garcia Award for the best fiction book of the year! I’m in shock! 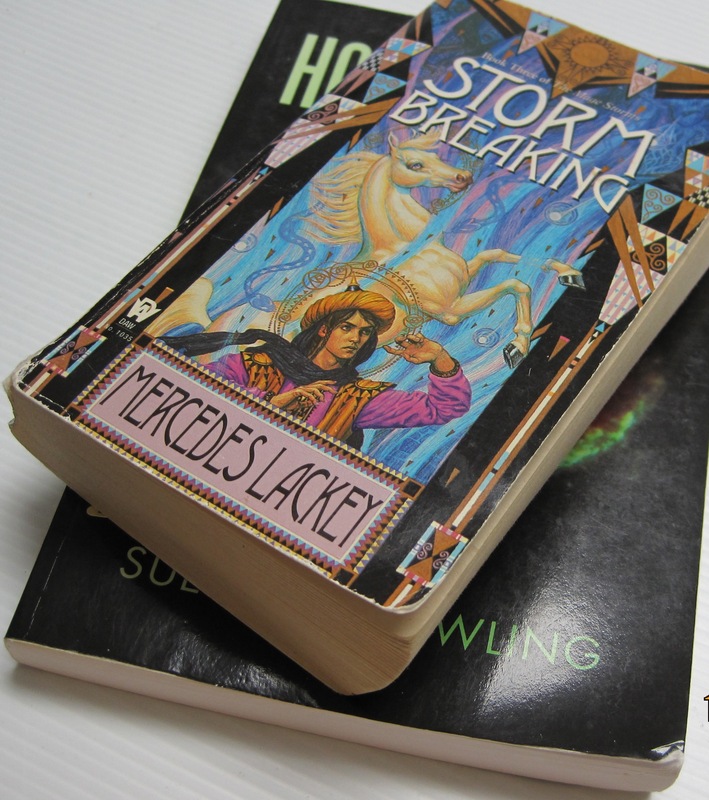 The first six quotes this week were again from Storm Breaking by Mercedes Lackey. “It walls you in as well as other people out.” Darkwing is trying to explain to Tremayne about the barrier around Iftel, and how it has affected the people within it. “I would rather have a bloodless victory than any other kind.” Tremayne, on realizing that the gryphons will probably fight by dropping object through thatched roofs. “No one has ever dared to claim…that the cause of warfare was rational.” Firesong to Karral, discussing how Karal feels about Vanyel. Firesong is thinking about adding Vanyel’s ghost to their company. The complete quote included prejudice as well as warfare, and the whole thing refers to the fact that Vanyel was considered a demon in Karse, due to his being the premier fighter on the Valdemar side in a war centuries earlier. “No side is always in the right.” Firesong approving Karal’s answer to his question about Vanyel. “The sword is saying that we need an edge. How appropriate.” Firesong is being a bit sarcastic about Need’s advice, Need being a talking sword. “Gossip and rumor, opiates of the dull, can for the clever be the stuff that dreams are made of.” Melles has been talking with his tame poet and propagandist, and the poet makes this remark. “Some of the mammals here think they are going to eat me!” Sue Ann Bowling, Jarn’s Journal. Jarn is just beginning to explore his site of stranding, in Pleistocene Africa.